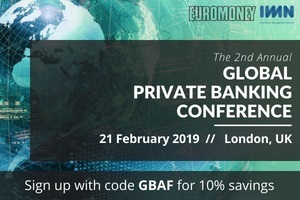 A one day, peer-driven forum for international private bankers, wealth & asset managers, technology& software providers to explore today’s dynamic private banking trends. We look forward to continuing our exploration of how seismic changes in demography and technology will continue to drive and change the private banking space. Our featured experts will provide insights to an audience of peers, as to how they are transforming their businesses internally, and which opportunities they are pursuing and their views on the direction of the industry as a whole. Last year, we asked our experts and audience how an organization can continue to evolve and thrive. This year we ask not how to play catch up, but how to lead. The quality of an organization’s leadership, their vision, resolve and adaptability can be the deciding factors of success or where a bank falls short. Last year we asked how banks should respond to a changing world, this year we ask how banks should shape the future.